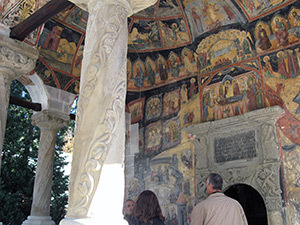 Sinaia Monastery, also called the cathedral of Bucegi Mountains, is the first construction in the area of the present resort, being built at the end of the 17th century by spatar Mikhail Cantacuzino, after his return from the Sinai Mountain. This is where the name of the monastery came from, name taken by the town as well. It is said that Mikhail Cantacuzino and his family went on a trip to the holy places. One day he reached an Orthodox monastery on Sinai Mountain, with Saint Catherine as its dedication day. Impressed by what he had seen and felt in the holy lands, when he came home he decided to build a monastery with the same name as Sinai Mountain. 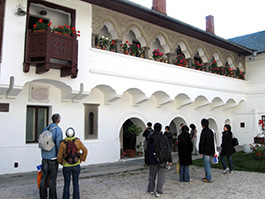 The monastery was built between 1690 and 1695, having as goal the protection of the commercial route on the Prahova River Valley as well. In time, more precisely in the 19th century, because of the great number of monks, a new monastery was built, called Curtea Noua (the New Court), thanks to the efforts of priors Ioasafat and Paisie. 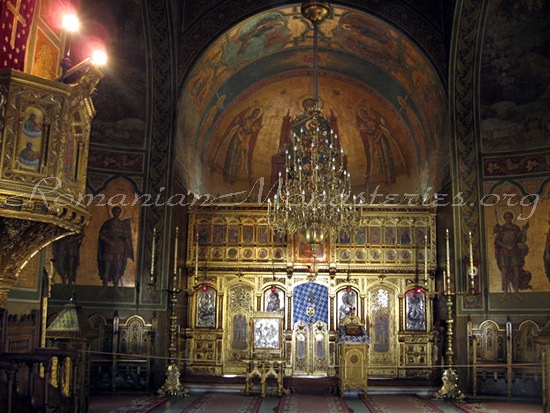 This was the first electric lighted place of worship in Romania. 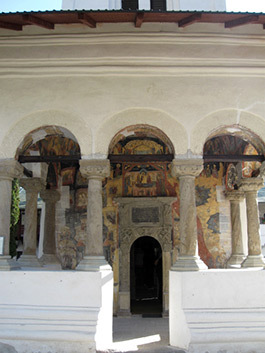 The entrance in the Old Church of Sinaia Monastery. The museum of Sinaia Monastery, built in 1895 on the occasion of the monastery’s bicentenary, is the first religious museum in the country and shelters invaluable worship objects, the first Bible translated in Romanian and printed at Bucharest (in 1688, with the good will of ruler Serban Cantacuzino) and a gorgeous collection of icons. Inside the church there can also be found the epitaph made by Ana Roth, worked on cotton cloth with needle and golden wire and colored silk between 1897 and 1900. The piece of work, of world value, is included on the UNESCO list. 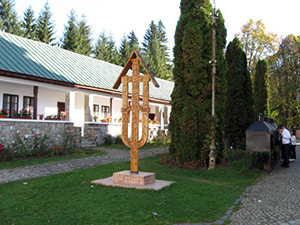 Tache Ionescu’s tomb, Prime minister during the World War I, who also had an important role in the Unification of 1918, is to be found in the yard of the old monastery. He specified in his will that he wanted to be buried in Sinaia. 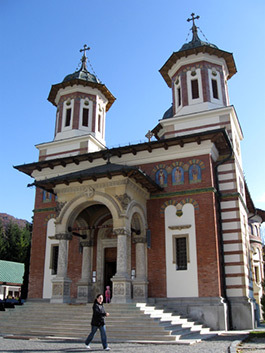 New Church of Sinaia Monastery. 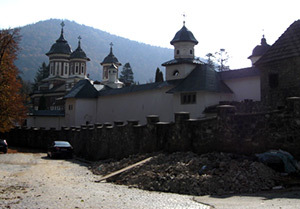 Old Church of Sinaia Monastery. 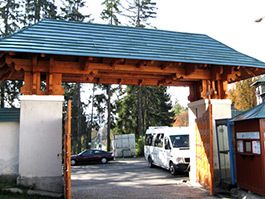 Gate of the Sinaia Monastery. 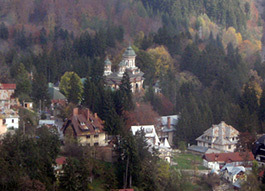 Sinaia Monastery, general view from cable car. 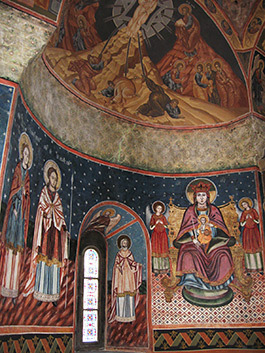 Interior of the New Church – Sinaia Monastery. 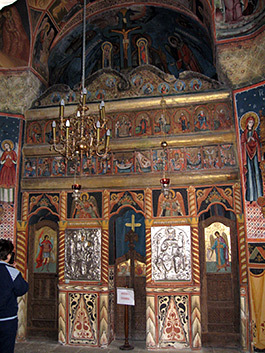 Old Church Iconostasis – Sinaia Monastery. 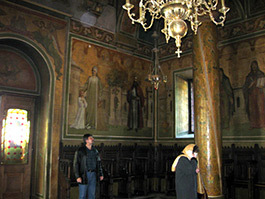 A scene from the Old Church – Sinaia Monastery. 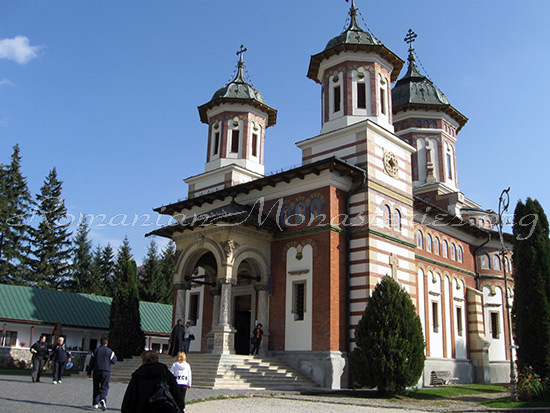 The most beautiful monastery in Romania, I like it very very much! 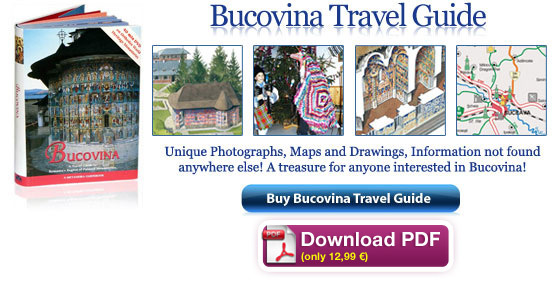 How far is the Sinaia Monatery away from Center Bucharest by car?